This is a complete rework of an object I found as a 1 piece model in 3D Studio Max format. 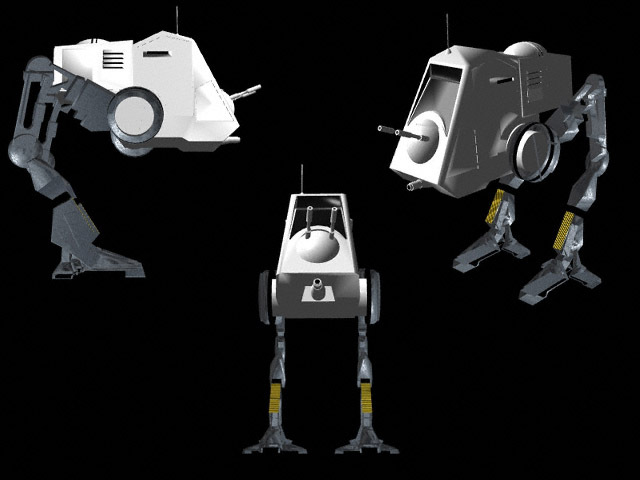 It now features completely separate objects for the body, the gun turret, the turrets two guns, the main gun, both upper legs, and both lower legs. Click here to view rendered photo.